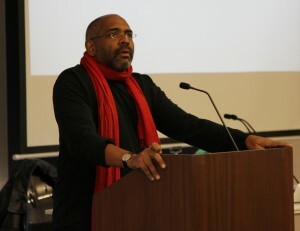 David Scott, Professor of Anthropology at the Institute for Research in African American Studies, Columbia University, and former co-director of CSSD’s Digital Black Atlantic Project, received the Distinguished Editor prize from the Council of Editors of Learned Journals for his work on Small Axe: A Caribbean Journal of Criticism. “Small Axe edited and published under Scott’s vision has become one of most relevant intellectual and creative publications for our current political, social and cultural climate. Small Axe continues to reflect the ‘problem space’ of the contemporary global moment,” said Roshini Kempadoo, lecturer at University of Westminster. Read more about David Scott’s prize here.